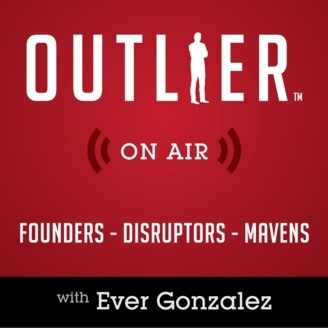 In the latest episode of Outlier on Air, host Ever Gonzales and Pete talk about the 7 Levers of Business that are each linked directly to a company’s profitability. Pete shares how increasing each of these levers by just 10 percent increments will boost a business’s ability to generate greater income. If you’ve been following along, the 7 Levers of Business are specific aspects of business that are each directly linked to your profitability. He refers to them as levers because, if you PULL on any of these elements by improving them, even slightly, your profits will increase accordingly. Helping Entrepreneurs: Pete tells us that when you discover new tools, you need to determine which aspect of your business that tool is going to help grow. If it’s not going to help your business grow at the time you need it to, than it’s not relevant. End Game for Pete: He has a couple of ideas and a few other books coming out down the road. But he is just going to continue to focus on growing his businesses, and balancing his work/personal life. Take Away: Pete teaches us to open our minds, involve mentors and advisors, and make money with existing ideas. There is no need to reinvent the wheel. Look for this inspiring interview, as well as others like it, on Outlier On Air: http://outliermagazine.co/pete-williams-7-levers-of-business/.